Informative brochures are a great way to educate your customers about your specific products or services. By presenting purposeful information to your customers they will confidently make the right choice, increasing your product sales. Regardless of the format, your brochure serves as a small catalogue, and should use the space available to provide comprehensive product descriptions and company messaging. A brochure is a type of flyer, pamphlet or leaflet that is used to pass on information about something. 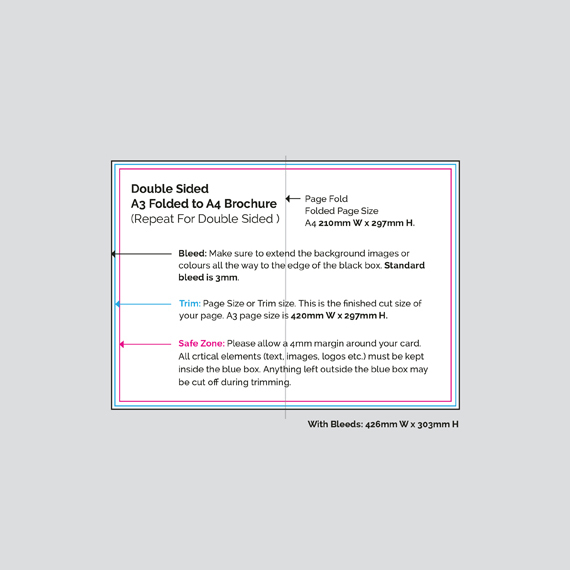 Compared with a flyer a brochure usually uses higher-quality paper, more colour, and is folded. Brochures are advertising pieces mainly used to introduce a business and inform the target audience about products and services on offer. Brochures are generally distributed by hand, post or placed in brochure racks. The most common types of single-sheet brochures are the tri-fold (a single sheet printed on both sides and folded into thirds) however folding options are endless depending on your requirements, let us know how you’d like yours to look!